Svanhild Bjørnsdottir doesn’t need much—just a place to work in order to fix her Valkyrie motorcycle before moving on. As a fallen Valkyrie, she has no hope of settling down or returning to the Shield Maidens. Odin exiled her for defying him, and she’s not interested in going back, especially after arriving at the Fix-It Cave in Three Lakes, Michigan. But the last thing she’s looking for is love. As a Blade in the fanatical Sword of God, a religious group bent on protecting humans from the Elder Races, Balder Templar is haunted by the ghost of his last target and his part in the deaths of her werewolf family. Hunting redemption and respite, his path leads him to Kate Blackamber, the Morukai shaman of Three Lakes. Kate knows who he is, what he’s done, and what he needs. The Morukai lays a geas on both Svanhild and Balder—to help the other become part of the community. But when Balder rescues a little girl from an apartment fire and is recognized for his past, packmembers of the ghost arrive to demand retribution. In a town that abhors the Sword of God, Balder doesn’t have many defenders, but the Valkyrie may just be his saving grace. Svanhild scanned the streambed swollen with the spring rain. Downed trees slick with water lay like giant pick-up sticks across the gully’s floor. The skid marks led directly to a mass of torn limbs, eddying water, and chrome. Chrome? She slid down the bank toward the tangled mess and the twisted form of a motorcycle became visible. Somehow it had gotten wedged under an old uprooted stump and the swelling stream rose around it. A black-gloved hand rose out of the water be behind the stump and tree limbs, and Svanhild splashed through the stream toward it. A man in denim and leather with a red bandana tied around his head lay under the bike, half-submerged and slowly sinking. “Fine. Tell me what happened while I work on dislodging some of this debris.” She grasped some of the accumulated tree limbs and pulled them out of the tangle, throwing into the water to be carried farther downstream. Svanhild nodded and stood back a moment to survey the situation. The stump lay across the bike with the man under it. The old trunk was a good half meter in diameter and solid wood. She’d be able to move it, but only if she tapped into her Valkyrie essence that she’d long forsaken. Ja, because Odin banished me from Asgard. She thrust the thought away and shot a look at the pinned biker. He still scowled, but he appeared more concerned with his current state of submergence than whatever she chose to do. 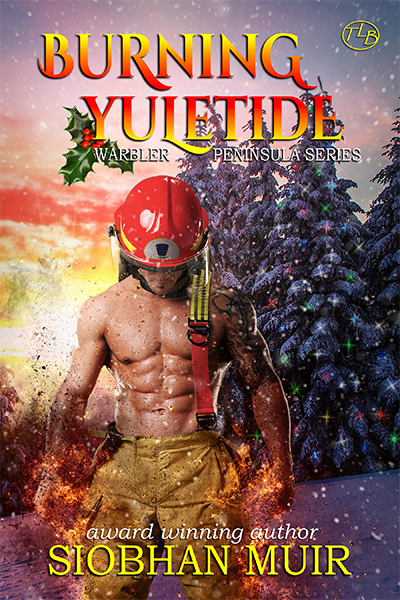 Svanhild closed her eyes and ignored the icy water soaking into her jeans. She released some of her Valkyrie essence, just enough to be imbued with the strength of a berserker warrior so she could move the trunk. She’d haul the man out then work on the bike. She ignored him. “Three.” She yanked and lifted the stump. The waterlogged wood moved sluggishly as if a great hand held it down. But Svanhild increased her effort and a wet, sucking sound tore through the rain-soaked air as the thick trunk moved. If she’d completely taken on her true form, she would’ve been able to toss the waterlogged tree across the stream, but she was only able to shift it a little to the side, freeing the bike and man. “It’s not important at the moment. Let’s get you out of the stream. 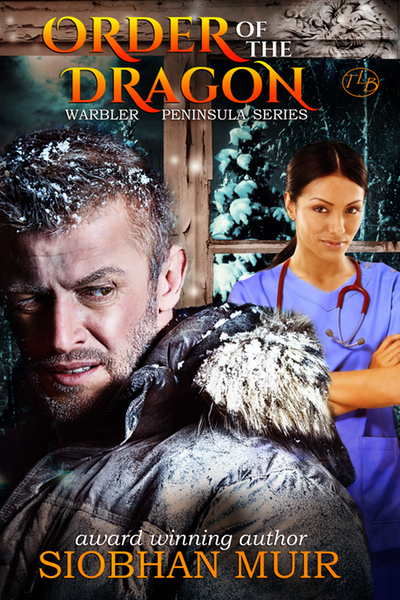 Do you think you can walk?” She held out her hand to him, her feet braced. He reached out to clasp her wrist and her world grayed out around the man touching her. Her Valkyrie senses roared to life, screaming with the wrongness of the being holding her wrist. Unworthy! Defiler! Forsaken! Her eyes widened as she met his brown gaze and the edges of her mouth pulled down as she bared her teeth. “Yeah, but what about my bike?” He shuffled to the bank and stared at his motorcycle slowly disappearing under the rising stream. She tightened her fists and wished they could be wrapped around his throat, but she held back the berserker’s rage. Five hundred years! Odin had exiled her from Asgard to the mortal world because she’d dared to disagree with him. I was right, dammit. The warrior she’d been sent to collect during the Ottoman-Hungarian War had been a butcher, a murderer without honor or conscience. Seeing his actions and choices in life laid out before her turned her stomach and she refused to give him a place of honor. And now I’ve saved this butcher from death. I am a fool. With a snarl, she reached down into the water and grabbed the bike’s handlebars. She heaved the heavy Harley painted with red and orange flames out of stream and let it drop on the bank closest to the road. She would’ve flung it to the ground, but she had too much respect for the machine to take her fury out on it. He’d survive. That was more than he deserved. “Thanks a lot.” He sounded sullen. “Be glad I didn’t leave it in the water. You’ll survive to walk it to town.” She stomped her way up the bank to her bike and hoped she wouldn’t have to slog with him. Come on, søta. You gotta start for me and take me to safety. She didn’t trust herself with the dishonorable biker. In all her cursed years of living among the humans, she’d never come across anyone quite as horrific as the man in the gully behind her. Thank Odin I don’t have to take him to Valhalla. Not that she could. She jammed her helmet on her head and kickstarted the bike. The engine turned over, but didn’t catch. Oh please, søta, start for me. The bike chose to grant her wish and she sighed in relief as the engine caught. She didn’t gun it, just eased the throttle and let the bike move under her own power. 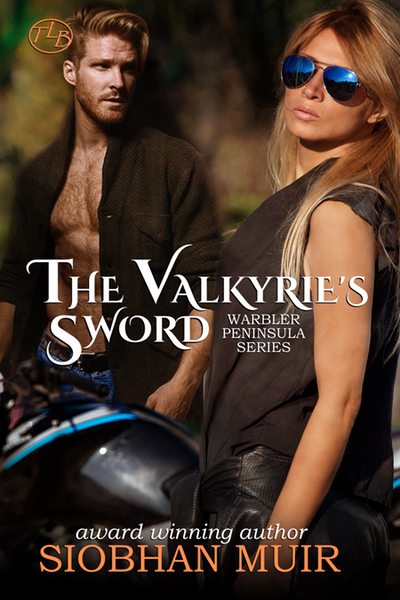 The Valkyrie motorcycle coughed and whined as it puttered along the wet Michigan road, but Svanhild was just glad to be moving at all.